Following winning performances from Billy Bolt and Graham Jarvis at the opening two rounds of the World Enduro Super Series in Portugal and Austria, the Rockstar Energy Husqvarna Factory Racing squad of Bolt, Jarvis and teammate Colton Haaker are all-set to contest the round three of the 2018 series – Le Trèfle Lozérien AMV in Mende, France. Securing an impressive fourth Erzbergrodeo career victory less than a week ago, Graham Jarvis is looking forward to a very different challenge in France. 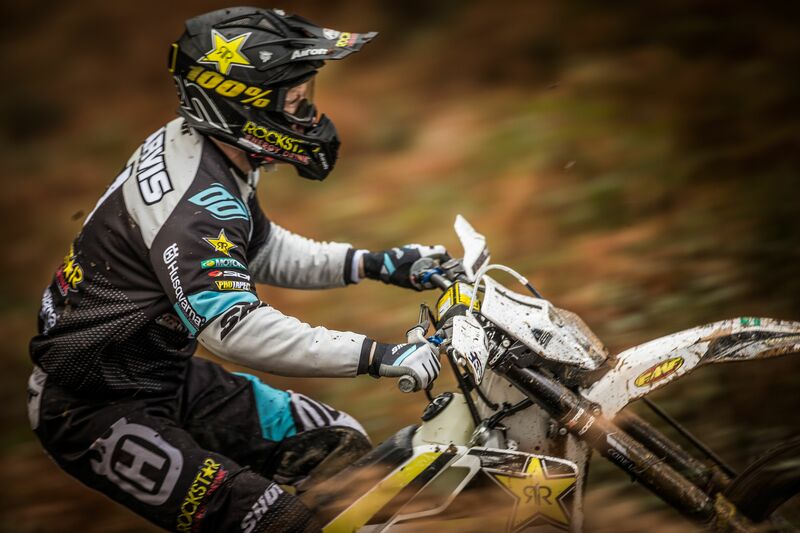 Hoping to make full use of his vast experience, the Rockstar Energy Husqvarna Factory Racing rider is eyeing a good overall result at the event. Victor at the opening round of the season, Billy Bolt is eager to show his improved speed in the French timed specials. Getting a first taste of world-class enduro competition by successfully finishing the GP of Greece in 2017, the young Brit is looking ahead to the long weekend of racing in France. Topping the Iron Road Prologue at the 2018 Erzbergrodeo, Colton Haaker is set to go head-to-head with some of the world’s best Classic Enduro specialists. Looking forward to the challenge, the American will also look to climb higher in the provisional WESS points standings. Taking place on June 8/10, in Mende, France Le Trèfle Lozérien AMV is France’s most prestigious Classic Enduro event. Following a traditional enduro format, each of the 200-kilometre long days is broken down into liaison and timed special stages in a mixture of open grass fields and forestry tracks. Tallying up the times from the special stages and the liaison penalties determines the final results.